TWS gives every investor the tools professional traders use to gain an edge. 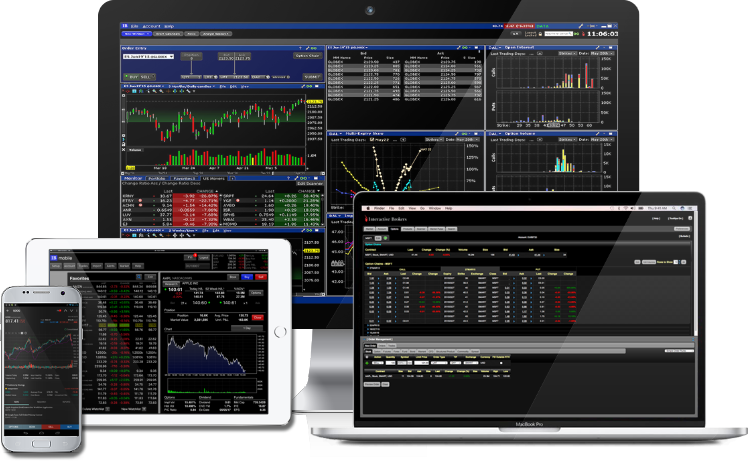 It optimises trading speed and offers specialist tools for both the novice and advanced trader. 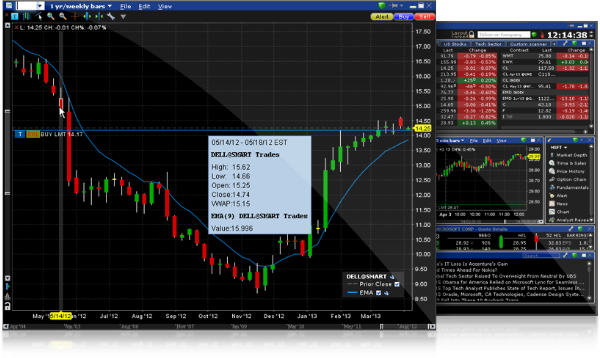 Real time charting with over 120 technical indicators and the ability to view and place orders directly on the chart. We trade a lot of options here at Capital 19. 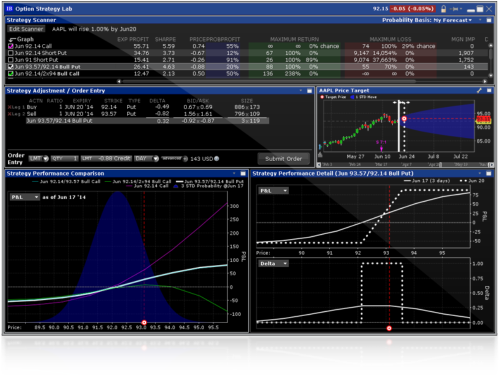 With TWS you get access to the same tools we use to design, analyse and monitor complex option strategies. View all the Greeks for any option and use graphs to visualise changes in option prices based on changes in Greek values. 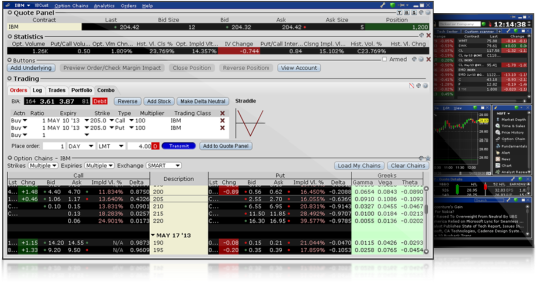 Option Trader provides the most comprehensive view of available option chains and allows you to create and manage option orders including combinations with a few simple clicks. Option Strategy Lab is an extremely powerful tool allowing you to create complex multi-leg option orders and review payoff diagrams. 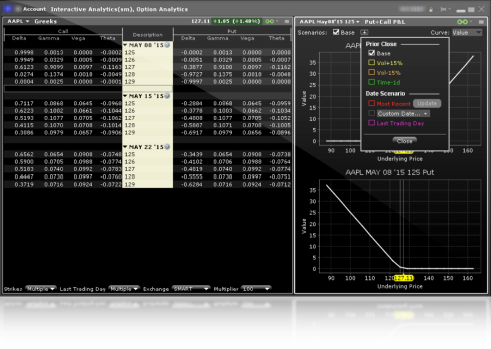 You can even compare up to five strategies at the same time to select the best performance parameters. 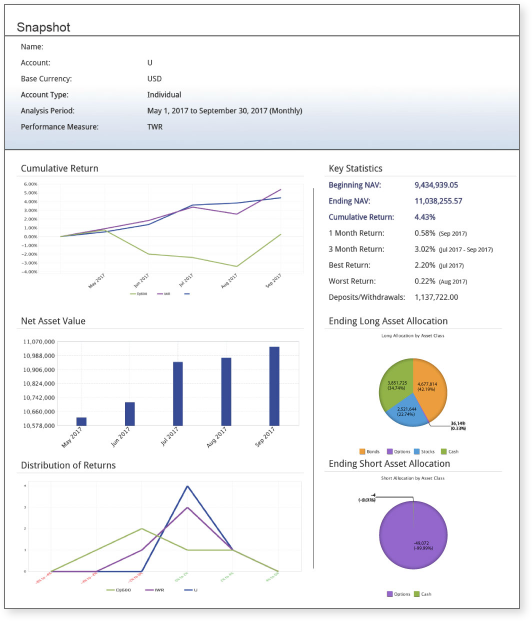 Free portfolio reporting takes the hassle out of tax time and allows you to easily see how your Capital 19 account is performing compared to benchmarks. You can view up to the minute information on your account from a pc or even using the smartphone app. Sometimes you can find stocks trading at slightly different prices on different exchanges. SmartRouting searches for the best prices across all exchanges for you and seeks to immediately execute your order at the best possible price. Imagine what a difference this could make to your returns if SmartRouting can get you better prices on your trades!